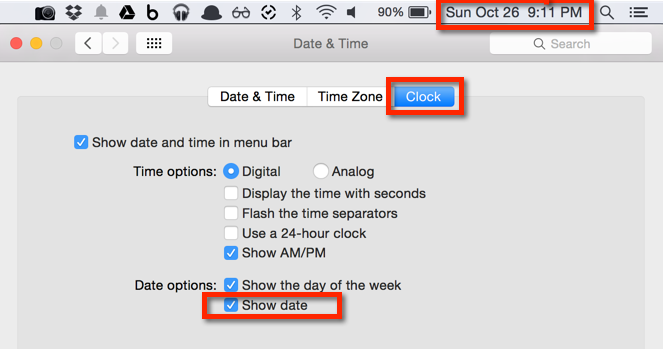 I’m not sure why this is not a default option, but if you want to show Date and Time in the Menu Bar on a Mac, then you you will need to set that in your System Preferences. You can find enough documentation online and edoceo is a good resource. But the basics of setting up Syslog-NG are as follows. When you configure your Appliance to forward syslog to your Host, you will see the logs in “/var/log/somedest.log”. I wanted to create change the prompt to show the active git branch through an alias. # Try this in bash to get the git prompt, but how do you alias this? Now I can activate the git prompt that I need through an alias that contains a combination of single and double quotes. If you’re trying to use the –exec option and need to pass in arguments, then you would need to use — to let –exec know that these are arguments to the script that needs to be executed. We have a bunch of Python (2.7) virtual environments and I needed a way to figure out a way to list modules installed by pip within the context of that venv and then grep for a particular one. I’m not a super Python expert at this time, but wrote up a small script to list this. Now I can simply grep for specific modules or just see the installed modules.